• The back of the note features a RollingStar® security thread with the same dynamic chess effect and again with a colour shift from emerald green to sapphire blue when tilting the banknote. The micro text “BNB 100” is visible on either side. • The note also contains paper-embedded security fibres: new tri-coloured security fibres in white, green, red are visible under UV light. 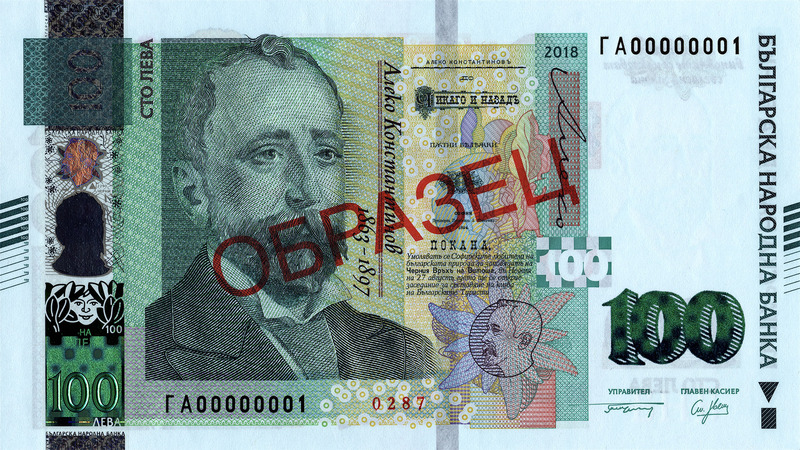 • A three-dimensional watermark portrait of Aleko Konstantinov combined with the highlight inscription “BNB” is visible on both sides in transmission view. • Communicating security features: The motif of the portrait of Aleko Konstantinov has been used in the intaglio print, in the watermark and in the RollingStar® LEAD stripe. The repetition of motifs makes it easy for the untrained consumer to verify the authenticity of the banknote. 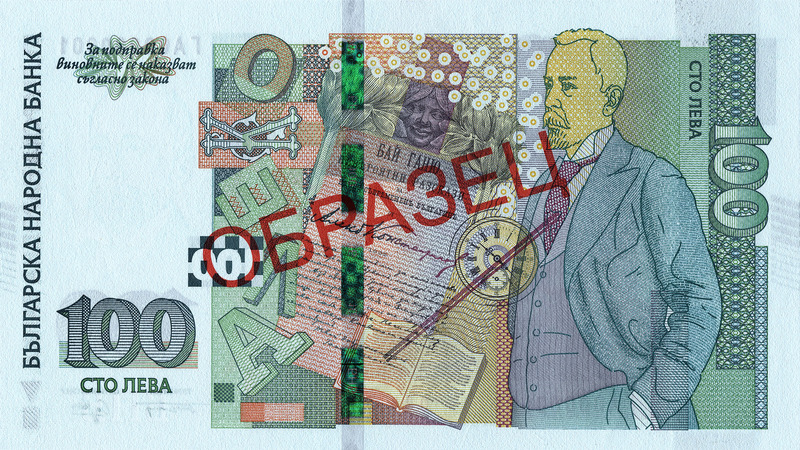 The banknote is also equipped with tactile features for the visually impaired: five thick and six thin diagonal lines along the margins on the front side.